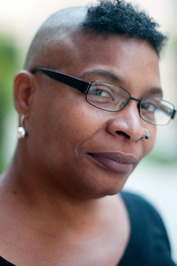 Nalo Hopkinson is a Jamaican-born writer and editor who lives in Canada. Her science fiction and fantasy novels and short stories often draw on Caribbean history and language, and its traditions of oral and written storytelling. Nalo Hopkinson isn't a Goodreads Author (yet), but she does have a blog, so here are some recent posts imported from her feed. Is this you? Let us know. If not, help out and invite Nalo to Goodreads.